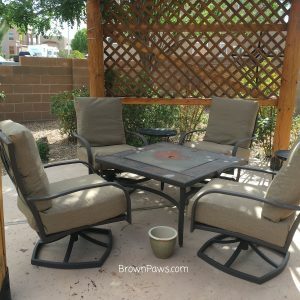 We bought a patio set with a fire pit and four chairs about five years ago for our back patio. 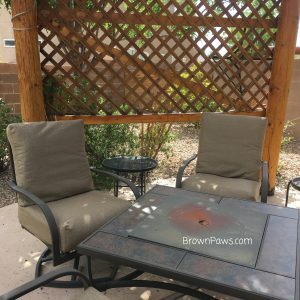 After five years in the New Mexican sun, the chair cushions were completely shot. The tops of the cushions were split with stuffing coming out and the seats were rough and cracking. I looked for cushions on sale at the end of last summer but they were still really expensive. 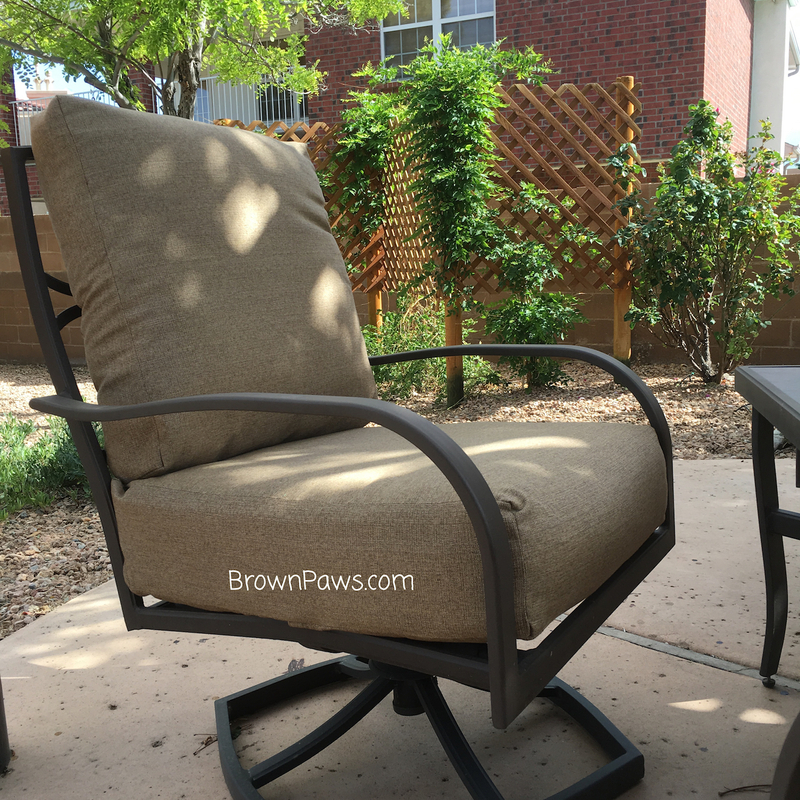 The problem I ran into was that the bottom seat cushions are very large and deep, so I couldn’t find replacements very easily…at least ones that weren’t nearly $100 a CUSHION. Arrgh! Oh My. I got it done, but it was really a battle. 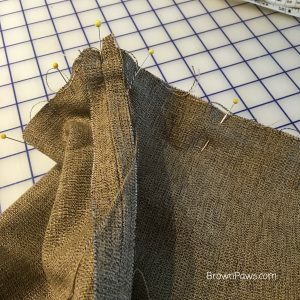 First the fabric. 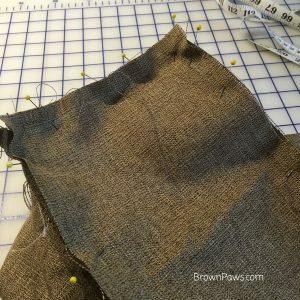 I bought some Sunbrella fabric on sale from Fabric.com, but it was still not cheap. I really hope it lasts. 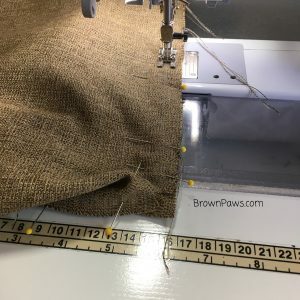 I also struggled with the types of Sunbrella fabrics – the weights, the names, etc… A friend recently had me recover some of her outdoor pillows with Sunbrella canvas and it was way too heavy, so after a few orders of samples I found one I liked. 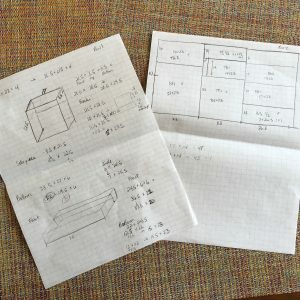 I did a bunch of research online looking for patterns to make the cushions. I started with one that basically wrapped the old stuffing like a present. 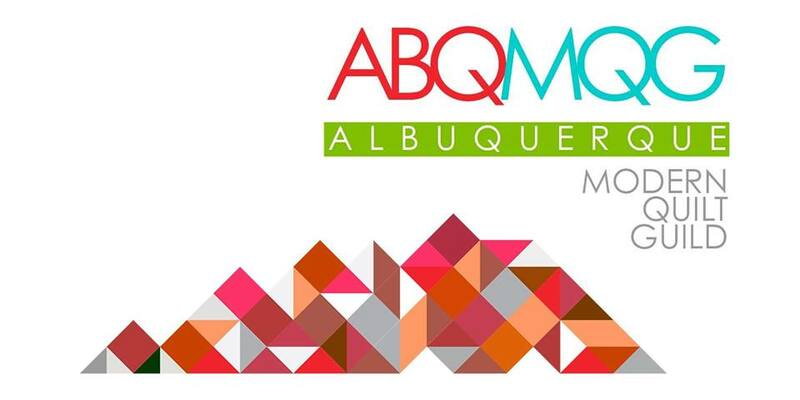 It appealed to me because I was trying to avoid doing complicated inset sides. I made a sample using muslin first to see how it would go, and came out a bit wonky. 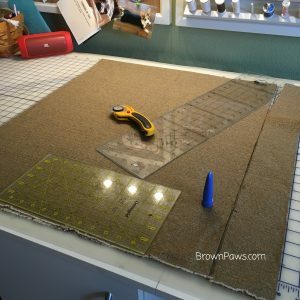 I tried another sample using the inset sides and it wasn’t terrible, so I drew up a pattern and cutting plan to do it that way. Basically the cushions are big boxes, with a long piece that wraps around the top and the bottom and meets in the back, closed off with velcro. 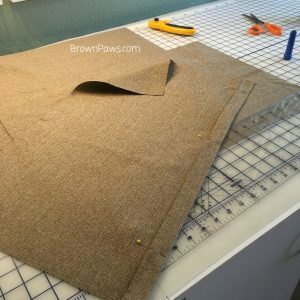 There are 2 side pieces that join to the front piece loop. 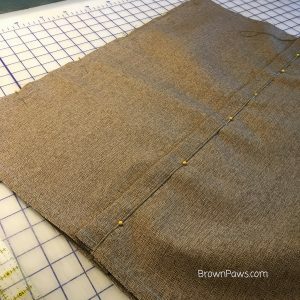 Sewing the long front piece to the sides is like sewing on piping to the side piece, except the piping is very long! 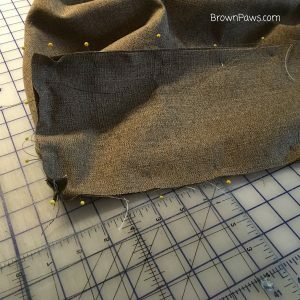 Hemming the flaps of the long piece where it meets in back – I added velcro to it later. 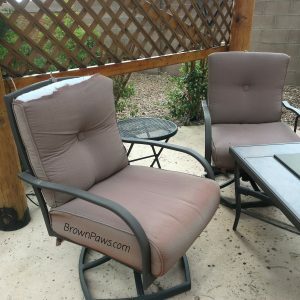 I didn’t want to have to hand sew the cushions to finish them, and the velcro makes it easy to take the covers off for washing or replacement. After sewing, I pressed all the seams and added iron-on velcro to the closing flaps (which was much more labor intensive than it sounds!). Finally, I cut the old covers off the existing foam/stuffing and had my husband help me wrestle the new covers on (again, much more labor intensive than it sounds!). A few of the sites I visited looking for patterns or tutorials suggested that this project was quick! easy! done in a matter of hours! Pfffft. Yikes. Maybe I made this too complicated, but between the research, muslin templates, pattern writing, cutting, hemming, pinning, sewing, velcro-ing, and restuffing this took me the better part of a week. I am really happy with the results, and it will likely be easier the next time as I have a pattern I like and have a better idea what I’m doing, but it was indeed a bit of a battle! Obviously this is not a full tutorial on how to do these cushions. If anyone is interested let me know and I can work on it! They were a lot of work, but I’m really happy with how they turned out. These are great!! I can totally agree that it is not a quick and easy job and as you say even getting the older inners in the new covers is a time consuming battle at best!! Wow, that is a big job to tackle. Lovely cushions to enjoy for some time. 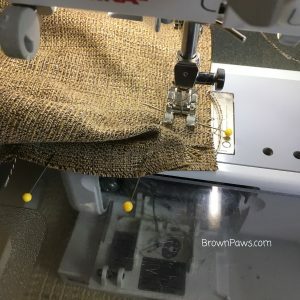 Did you reward yourself with fun sewing? 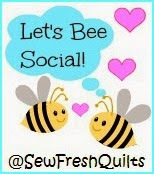 I did – been quilting ever since!